The concept was expanded during the negotiations and now includes not only the reduction of greenhouse gas emissions through avoided deforestation, but also reduced emissions through forest conservation, sustainable forest management and afforestation. The plus sign in today’s commonly-used designation REDD+ stands for this expanded scope. REDD+ was designed as a financing mechanism in the UN climate talks. Financial incentives are intended help cut emissions caused by deforestation, thus contributing to climate protection. 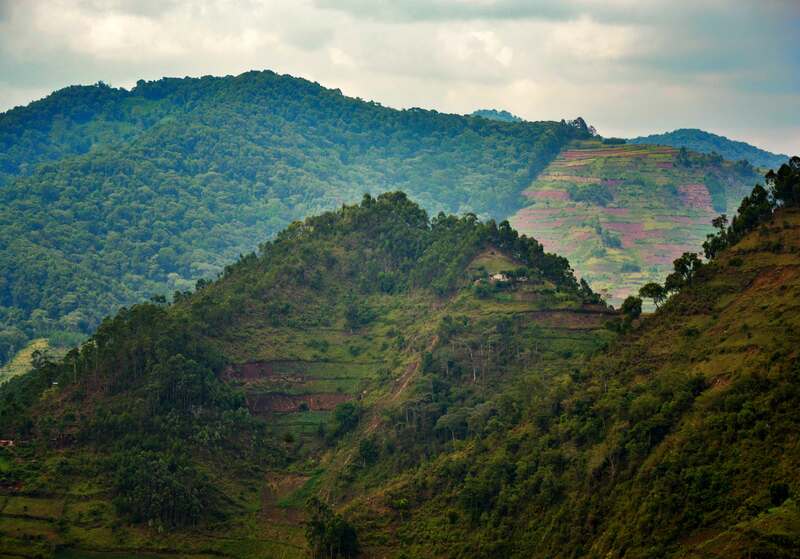 REDD+ thus bears its most important goal in its name: reducing emissions from deforestation. From the outset, however, proponents of this approach have emphasized two conflicting objectives. On one hand, REDD+ was intended to offer financial incentives to those who profit from deforestation to refrain from it. On the other, incentives from REDD+ measures were meant to benefit indigenous peoples and traditional forest dwellers who have maintained and protected forests – and the carbon stored in it – over generations. Their careful forest management was to be recognized as a contribution toward climate protection and the conservation of forests, even though – and because – it does not involve large-scale forest destruction and release of greenhouse gases. The evolution from REDD to REDD+ expanded the financial incentives with the intention to cover forest management by smallholders. REDD requires that emissions reductions are measurable and verifiable. This necessitates a special monitoring system, a kind of ‘carbon accounting’. The key to REDD is the combination of forest conservation with measurable emissions prevention. REDD+ payments thus have a fundamentally different quality than previous measures to finance forest conservation or promote smallholder agriculture in developing countries, as linking payments to a measurable reduction of emissions from deforestation is quite different than basing them on rights or development objectives. REDD+’s financing model was controversial from the outset, and the issue of its long-term financing has not been fully solved. To date, the bulk of REDD+’s financing has come from states and international organizations such as the World Bank, as well as the governments of the recipient countries. Financing by industrialized countries and international organizations is increasingly being linked to quantified evidence of emission reduction, even if the projects are not used to compensate for emissions. However, REDD+ can also be financed by the sale of carbon credits – and this is the crucial difference to previous forest conservation initiatives. Such markets for carbon credits from REDD+ projects already exist. The 2015 “REDD+ on the Ground” study by the renowned CIFOR research center, and the World Rainforest Movement’s “REDD: A Collection of Conflicts, Contradictions and Lies” collection, with its documentation of 24 conflict-laden REDD+ initiatives, are typical of a growing number of publications that show that REDD+ does not combat the underlying causes of deforestation, and that its measures frequently trigger or amplify local conflicts. Even after almost ten years, there is no evidence that REDD+ is an effective instrument against large-scale deforestation. This is not only the case for the objectives of simultaneously stopping wholesale deforestation and compensating forest peoples for protecting forests, but also with regard to its financing via trading in carbon credits. With regard to REDD+’s twin objectives, it has been shown that an average price of three to five euros per ton of verified emissions reductions through REDD+ -measures does not provide a financial incentive to agents of large-scale deforestation to refrain from planned large-scale forest destruction for soy or oil palm plantations or similar uses. Clearing forest for oil palm plantations can easily result in an annual profit of $1,000 per hectare – not counting revenue from the sale of tropical timber from the destroyed forest. REDD+ thus lacks the financial clout to act as a credible economic instrument against wholesale deforestation on large-scale. REDD+ is also unsuitable as a means of providing financial support to forest peoples and traditional forest users who do not constitute a significant threat to the forest. They can only benefit from REDD+ payments if they portray their own forest use as a danger to the forest, and thus encourage the false perception that shifting cultivation and smallholder land use in the forest are major causes of forest loss. After all, without evidence of the threat of deforestation, there are no emissions from deforestation that could be avoided – and there can be no REDD+ payment without proof that REDD+ measures have contributed to reducing emissions that would otherwise have been released. Furthermore, the assumption that REDD+ could be largely financed by trade in carbon credits in future appears increasingly doubtful – at least in cases in which measurable and verifiable emissions reductions are a precondition to the sale of carbon credits. This requirement is stated by the German development bank KfW Group in their REDD technical dialog on trading REDD+ carbon credits. The requirement is not only not being fulfilled at present – it would be impossible to fulfill if REDD+ were to be financed by trading compensation credits. Determining the amount of carbon in soils and forests is very expensive, extremely error-prone and unreliable due to the complexity and dynamics of ecosystems and the interplay of natural cycles and agricultural practices. The German government noted the lack of accurate measurement of emissions reductions of REDD+ project measures in its reply to a Kleine Anfrage (written inquiry) submitted by members of parliament: “Carbon accounting [by the German government’s REDD Early Movers Program] is intentionally realized at the level of the state rather than the individual measure. The latter would lead to high methodological uncertainties.” Germany’s REDD Early Movers Program thus finances emissions reductions at the state level, but does not link these reductions to individual measures. This, however, means that there is no quantifiable link between measures funded through REDD Early Movers and generated emissions savings in a compensation system that provides post-ex rewards for the anticipatory performance of a state. If the contribution to reducing emissions is supposed to be measurable, then the financing of REDD+ through trading in carbon credits – as many in the private sector and many proponents of REDD+ prefer – would be hard to imagine without such a quantifiable relationship between actual measures and claimed emission reductions. The precondition of verifiability of the emissions reductions that the REDD+ carbon credit represents cannot be fulfilled when financing measures via carbon credits – as with all projects that market carbon credits. The emissions reduction volume is always calculated in relation to a hypothetical alternative scenario to the REDD+ measure. This hypothetical scenario will not be realized, however, if the REDD+ measure is implemented. Independent reviews, certification standards and improved measuring techniques cannot overcome the impossibility of verifying the hypothetical emissions that would be released if a REDD+ project were not in place. Scientific studies have therefore described trading in REDD+ credits as a “virtual economy”, since carbon credits from REDD+ projects based on implausible emissions scenarios are being marketed in increasing numbers. In at least one aspect, trading in carbon credits differs fundamentally from trading in commodities. The marketed credits do not represent a tangible product, but the promise to refrain from a planned action (over the long term). In the case of carbon credits from REDD+ projects, this is the promise to avoid emissions that would have been caused by the destruction of forests. Carbon credits from agricultural projects are based on the promise to reduce emissions by changing existing land use practices or tillage methods. The carbon credit thus stands for this hypothetical reduction in emissions. 1. To ensure that the credit fulfills its promise to compensate for climate damage caused by the release of fossil carbon, the carbon must remain stored in the forest or soil or through changes in land use for at least 100 years, as fossil carbon remains in the atmosphere for at least that much time once emitted. To be effective against climate change, a REDD+ project must therefore guarantee the storage of the additional carbon in forests or agricultural land for at least 100 years. If the carbon is released earlier, the compensation for emitted fossil carbon is negated – the atmosphere will then contain carbon from the compensation measure in addition to the allegedly offset carbon from fossil sources. It is not possible, however, to guarantee the carbon storage in a forest or the application of specific agricultural practices in a compensation project over such a long period. In the medium term, an afforestation measure could fail, or the forest could be destroyed by fire, storms, insect infestations or clear-cutting. In soils, carbon is stored in humus just below the surface. Even marginal changes in agricultural practices – not to mention erosion, droughts and heavy rainfall – can thus lead to its release. Recent research also suggests that soils are extremely dynamic in their response to climate change. Rising temperatures could accelerate the biological decomposition processes in the soil. If this were the case, significantly more carbon would be released into the atmosphere from soils in future (Sulman, 2014). The risk of climate change is thus increasing as a consequence of trading in carbon credits for land use and REDD+ projects, as guaranteeing carbon storage for such long periods is neither realistic nor tenable with regard to our responsibility toward future generations – even though REDD+ agreements such as the N’hambita project in Mozambique obligate participating villagers to guarantee carbon storage in the planted trees for 99 years. 2. The value of a carbon credit is based on a verified absence of a planned activity that would have released greenhouse gas emissions. This, in turn, means that the transaction is not completed with a one-time exchange of goods or services for an agreed sum of money. Instead, the sale of the carbon credit transfers the right to verify the continued absence of a once-planned activity over the entire project duration – in the case of REDD+ -carbon credits, for a period of at least 99 years (see above). The consequence is a form of external control over local land use on an unprecedented scale, involving increasingly sophisticated technical resources and worrying risks for human rights violations. Such monitoring is all the more cause for concern as many REDD+ measures are being implemented on land whose rights of ownership and use are in dispute. In existing REDD+ projects where REDD+ credits are not of a purely virtual nature, the monitoring of local land use, e.g. with regard to adherence to the imposed restrictions on use, has already led to conflicts in numerous cases. World Rainforest Movement (2015): REDD: A Collection of Conflicts, Contradictions and Lies.